Yesterday was National Day of Sweden and the whole country was out in the sunshine enjoying themselves. But it was also the reason the Status Update is on Thursday this week. So no more delays… let’s dive into that information! All Deployable Targets and Shooting Mats are deployed with the same functionality as any other deployable item in game. All Mats and Targets spook animals when placed. The reserve limit for Mats and Targets is 30. To use a mat, approach it and once the option appears, press ‘E’ and follow the prompts in the radial menu. While on the mat you will not consume ammunition, all shots will be registered on the scoreboard (in Multiplayer only) and you can not shoot at animals. While on the mat a player can not walk or run, but can enter any firing stance (Standing, crouching and prone). Firing from the mat will spook animals. The shooting mats remove foliage when placed on the ground, this has been done to assist with a clearer field of vision. We wanted to make this as flexible as we could for users to create competitions, so shooters do not have to be bound to one mat. You could in theory set up a shooting course. For example a competitor could start at mat ‘A’, have to shoot 3 targets, with 3 bullets in ‘X’ amount of time. Then run to mat ‘B’ and shoot the next lot of targets with whatever house rules have decided and then move to… etc. Only the host can clear the scoreboard. To leave a mat, simply press the ‘E’ button again. There are 3 different variations to pick from, all provide the same function. There are 3 animal silhouettes you can pick from, a Rabbit, Deer and Bear. Each animal type comes in three different colour variations, White, Black or Black with a Red Outline. There are no difference in functionality between the colour variations, we triedto provide a range that would work in different environments. We also understand that everyone’s eyes work differently and we hope that these variations help to cater to these needs. If you are close enough, you will get a very satisfying ‘Ding’ noise to confirm you have hit. To free people up from FPS drop, bullet holes will always show if you hit the bell. But over 120m, the bullet decals will not show anywhere else on the animal models. When testing we found that FPS started to drop quite rapidly the more bullet holes we retained at distance. Never fear, the long range (field) targets show bullet holes at any distance and on the animal targets you can still actually see the projectile impact. Hitting the target in the bell will give you shot information in the bottom right corner, points and distance. There are 6 different target variations to select from. The more rings a variation has, the more points can be scored when shot. The smallest being 1,2,3 and the largest being 1,2,3,4,5,6,7,8,9,10, depending which ring you hit. The targets are on a swing arm, meaning they rock back when hit. These targets are designed for the longer shots, but also add more variation into the scoring of any competition that is set up. If you are close enough you will hear the impact on the target, “DING”. Hitting the target will give you shot information in the bottom right hand corner, points and distance. Can be accessed by pressing ‘F3’ in multiplayer games. Only a host can clear the scoreboard of scores. Total Score: A players’ total score that has been accumulated by shooting Targets. Total Shots: The total number of shots taken while on a Shooting Mat. Efficiency: Your average score worked out on how many shots have been taken. Accuracy: What percentage of shots have hit the targets. If you have not had a go with them yet, we will be hosting an open multiplayer game today live on stream and you can come and try to out shoot me …. Should be easy! Next Thursday this amazing event kicks off, last Thursday on stream we revealed the ‘Golden Gun’ that everyone can win, and this year it is the popular ‘10 GA Lever Action Shotgun’. If you would like to see it in the flesh you can check out the replay here, skip to 6mins 45seconds to check out the ‘Golden Gun’ and stay around longer if you want to see the Deployable Targets in action as well! Next Wednesday the full event details will be available to everyone in the Status Update and in the forums. But my tip would be to start googling which teams are the favorite to win the 2018 FIFA World cup. gr1zzly1 for this very nice BlackTail Buck! Congrats. 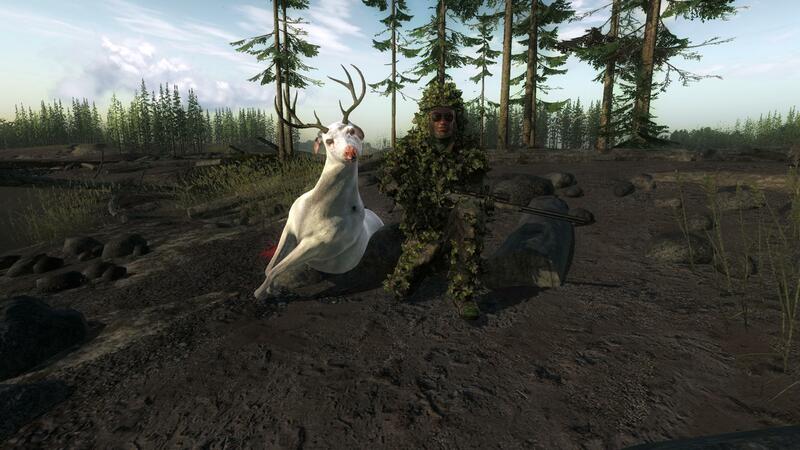 A very nice trophy shot! Next week is your last chance to win in this competition, good luck! Barrel/Bait Sites. Investigation has commenced and we will update with more information when we have it. Gun Wobble in Towers. We are aware of this issue and believe we have found the issue, after we are happy that it has been fixed, you can expect it in a game update soon. Deployable Targets Not Rendering beyond 220m. This one is a little bit more complex to solve, but it will happen. A work around, until it is solved, once a target has been brought into render, it will stay. So you can either walk up to within 200m of the targets, or put a tent off to the side, halfway down the range and then walk back up to your shooting position. We understand this is inconvenient and frustrating. Sorry. Fast Traveling Ropes. We are aware of this issue and aim to have it fixed as soon as we can. The ‘Trophy of the Week’ is this nice Willow Ptarmigan which was shot by Hifisch. It has a great score of 806, congratulations! If you are unsure of what many consider a trophy Willow Ptarmigan, it is anything over the 700 scoring mark. 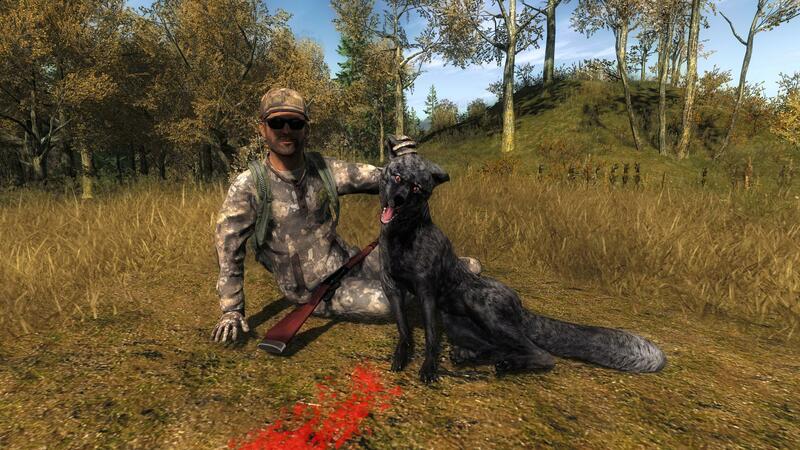 And the ‘Rare of the Week’ goes to smiledmeteor443 for this Silver Tipped Red Fox, scoring 9.125. 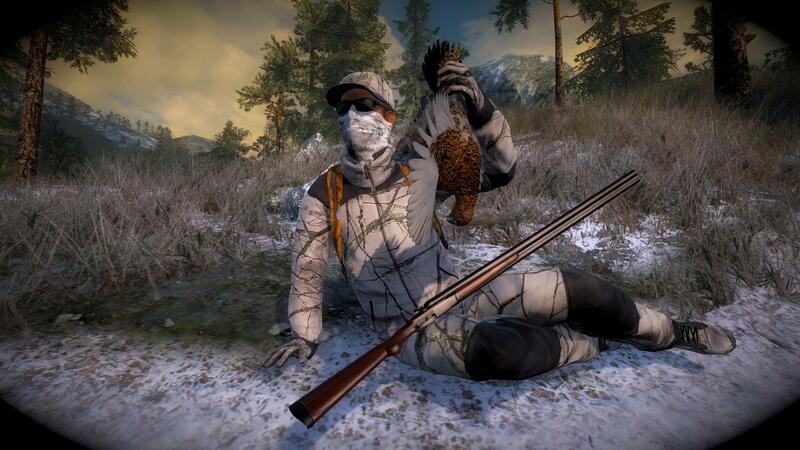 An amazing trophy and a very nice trophy shot, congratulations! 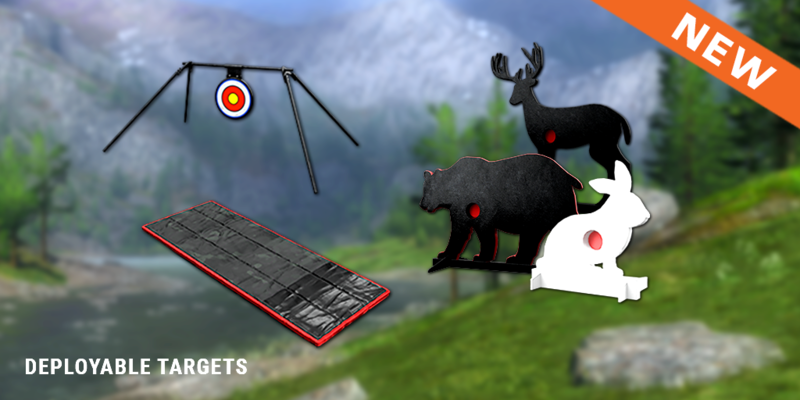 This week’s free rotation, lets our guest hunters test their skills against Red Kangaroo and Bighorn Sheep. Good luck and have fun!